Valentines Day sends everyone into a panic. Either you are panicking because you have no one to spend it with or you are panicking because you are scrambling to get a gift for that special someone. It is good to celebrate romance. It is great to buy my kids treats and write silly poems about how much I love them. But, I cried yesterday thinking about Valentines Day. I was getting my son’s Valentines Day cards ready for him to take to preschool for his friends. An ache started in my gut and then spread to my eyes & tears started popping out. I thought about my two Ugandan kids who don’t know that I love them yet. They don’t even know I exist actually. Three years I have been in the adoption process & I still wait. I still love. Bizarre to love someone so much that it hurts. To love someone who doesn’t even love you back. Who doesn’t know you exist. Whoever said love isn’t supposed to hurt was lying. Now, it shouldn’t be abusive or violent. They are right about it not hurting in that way. I have a friend who left her abusive husband this year and will be celebrating tomorrow alone. I ache for her pain and couldn’t be more proud of her bravery. But, to be honest. Love hurts. Loving the child you don't have yet. Loving your neighbor as yourself when they couldn’t care less about you. Loving a home that is far away. Loving the teenager who says mean things and shuts you out. Loving your students who are disrespectful. We are all loving someone this Valentines Day. But not all of us will have our love returned with a rose and a smile. Does the love that hurts matter too? I know for a fact it matters. Six words that changed the course of mankind. God loved a world that didn’t love him back. God loved a world that offered Him a cross instead of a heart shaped balloon. 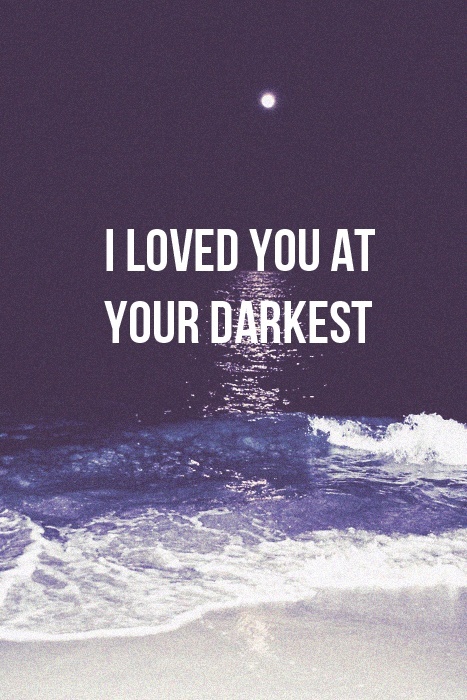 He still loves us today even when we are hard to love. He still loves you today even if you don’t acknowledge His existence. He aches for people. If you find yourself feeling a love that hurts tomorrow, I know God can meet you there. And if you have a hot date and happiness surrounding you tomorrow…Enjoy! But, if love hurts tomorrow, celebrate it as well. It matters that churches keep loving their cities even when it stings. It matters that parents keep loving children even when they seem so far out of reach. It matters that people remember the gift of loved ones lost. It matters that hospice nurses love the dying even though they know the outcome. It matters that a sister keeps loving her drug addict brother who brings nothing but disappointment. It matters. Celebrate that we have the human capacity to love. Celebrate that there is a Savior who loves you even at your worst.